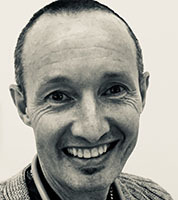 Dr Justin Welsh graduated from Monash University in 1998. Working in acute care medicine he has worked at both the Alfred and Box Hill Hospitals, and since 2004 he has been an integral member of the Emergency Department at the Epworth Hospital. Justin was introduced to Integrative Medicine by his wife who is also an Integrative doctor. Working in Acute Care Medicine, Justin came to realise that to maintain health, happiness and to maximise our true potential, people need a strong health foundation on which to build. To achieve greater health Justin believes that the patient, treatment and lifestyle strategies are building blocks and the doctor is the mortar that holds everything in place and brings it all together. Justin is a proponent of ‘practice what you preach’. In his youth he was a Victorian Track and Field Champion over 10,000m, and was ranked number 3 in Australia. Since then Justin has completed over 10 marathons and continues to run daily.